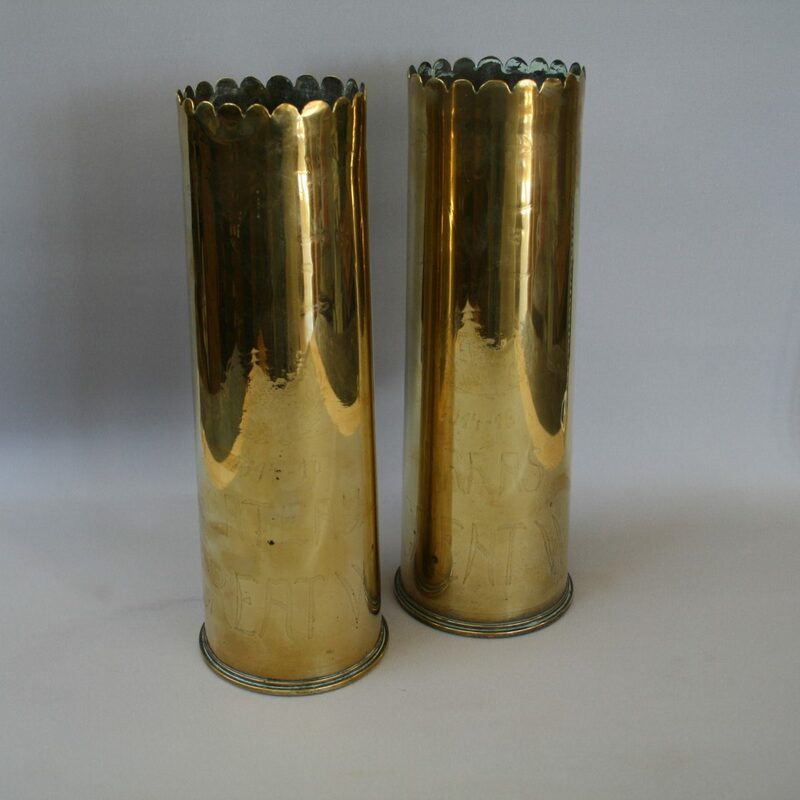 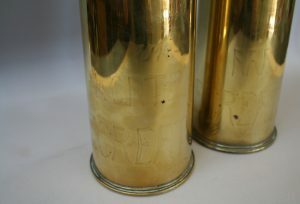 A pair of 1917 brass artillery shells with trench art with punched decoration. 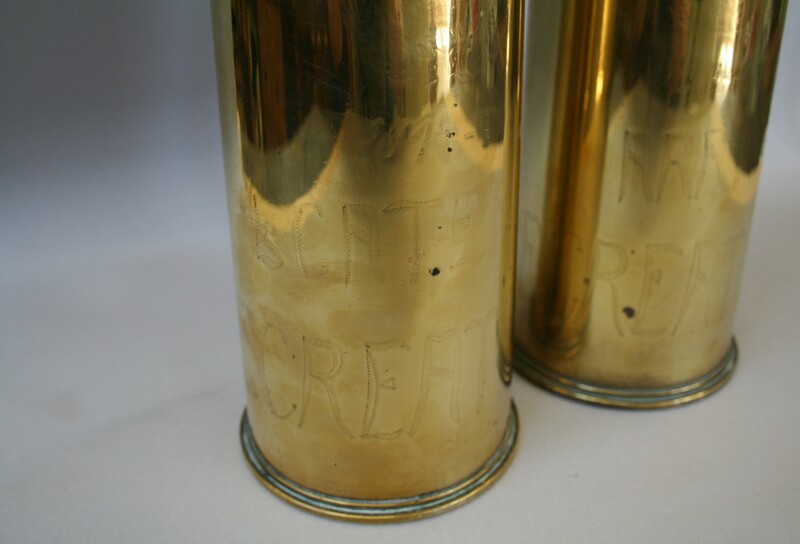 The base says ‘The Great War Le Cateau’ on one and ‘The Great War Arras’ on the other. These were battles during the first world war.